The Mtn. 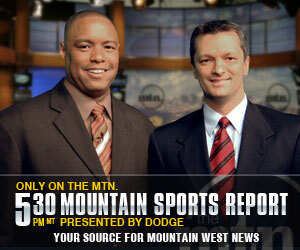 - MountainWest Sports Network holds multiple contest and promotional events each year. Here you can find information about the contests being held by The Mtn., as well as select promotions from the Mountain West Conference. Gameplay has ended for the 2012 basketball season. Thanks for playing The Mtn. Challenge! Gameplay has ended for the 2011 football season. Thanks for playing The Mtn. Challenge, protected by XO Skins! The Mountain West kicked off its Third Annual Football Fan Favorite Photo Contest that offers Facebook users the chance to win weekly prizes and bowl game tickets! To enter the contest, "like" the Mountain West on Facebook at Facebook.com/MountainWestConference. Send us your favorite game-day photos via e-mail or mobile device to facebook@TheMWC.com by 5 p.m. MT on Sundays. Send in pictures of your pre-game tailgate parties and backyard barbeques with your friends, photos with your favorite MW mascot, candids of the kids, or pics of the best dressed fans. You're the fans, so you decide! The MW Football Fan Favorite Photo Contest is open to all fans of the official MW Facebook page. The Mountain West is not responsible for any unauthorized use of your photos by other Facebook users. NCAA rules prohibit the use of student-athletes in any photos, whether they are participating in the sporting event or not. This includes, but is not limited to, shots of student-athletes at pre-game functions or cheering in the stands. Participants retain ownership rights to their photos, and submissions cannot violate the privacy or intellectual property rights of any person or entity. The MW reserves the right to remove photos at any time that are not in compliance with the Contest Rules. Still want to share your photos and show us your MW pride? 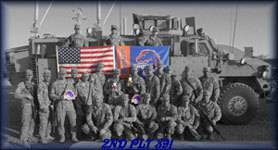 The Mountain West is always looking for images to add to our fan photo galleries. Share your photos from other MW events or from your favorite spots on campus. Are there hidden hot-spots where fans, TV networks and the Conference office staff should eat in your city? Take some photos and send them to Webmaster@themwc.com. Please make sure to include the name of the location and a description of the photo to let us know why this place is a must-visit.